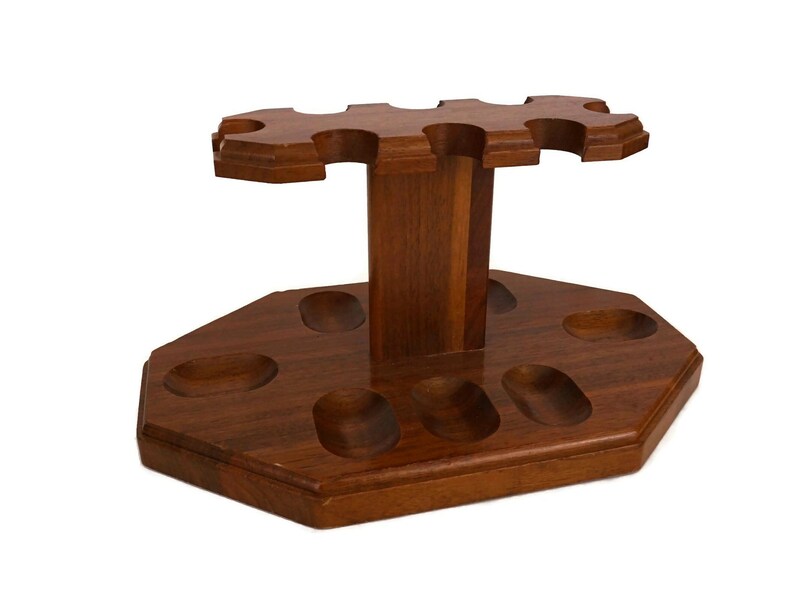 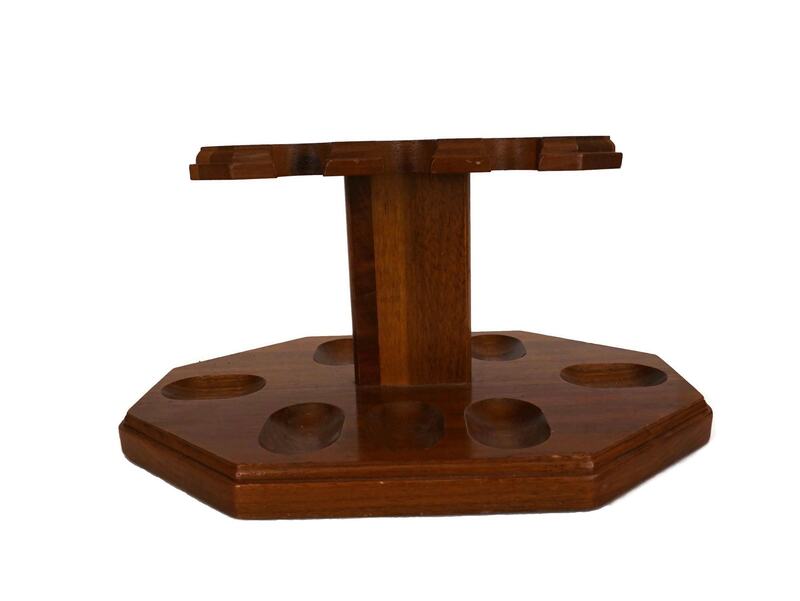 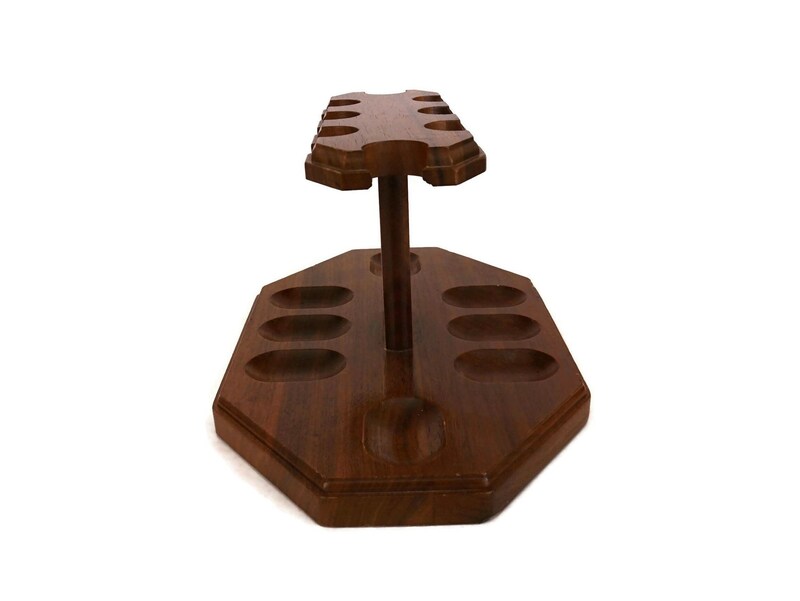 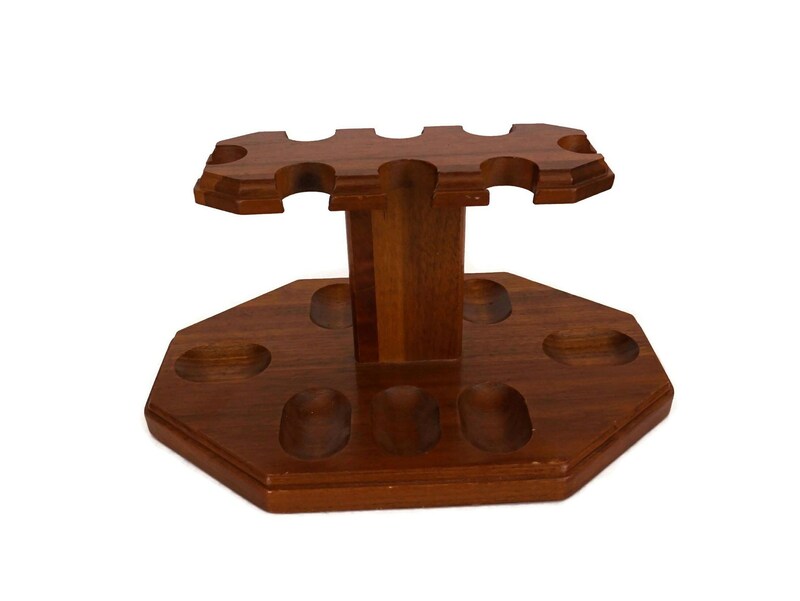 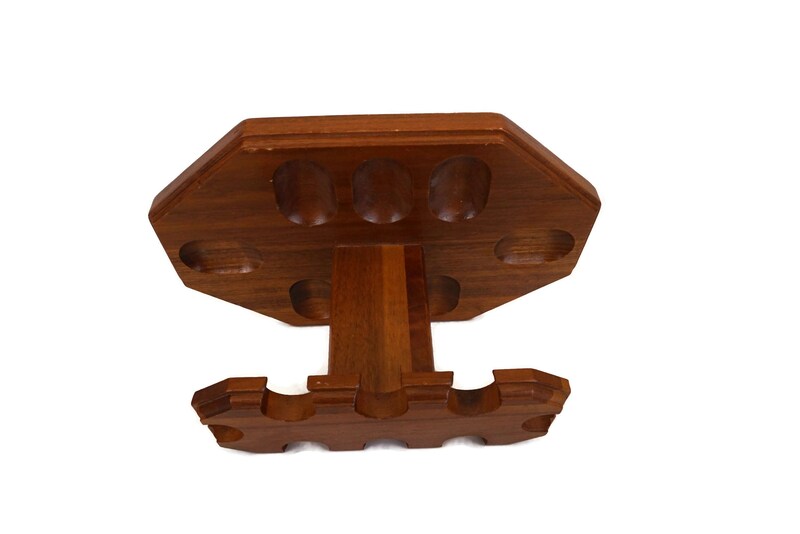 An elegant vintage wooden pipe rack dating from the 1970s. 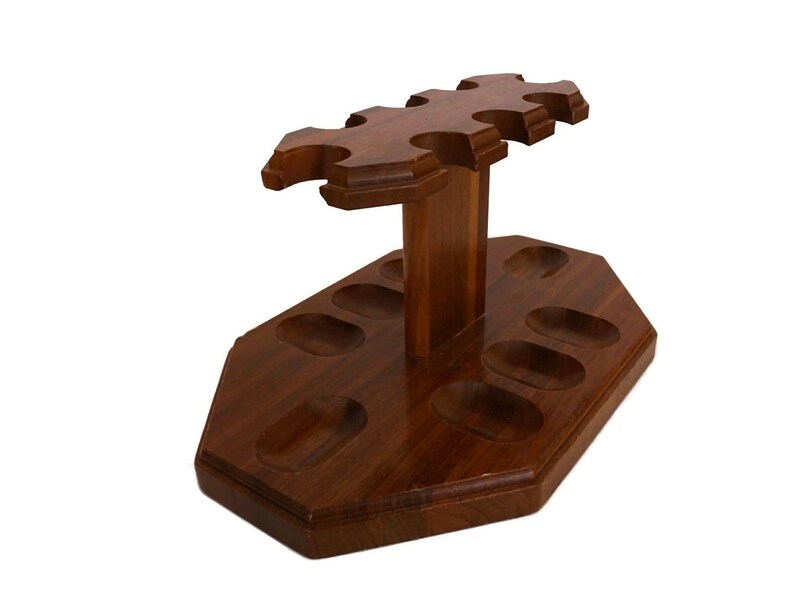 It features a rack for holding eight (8) pipes. 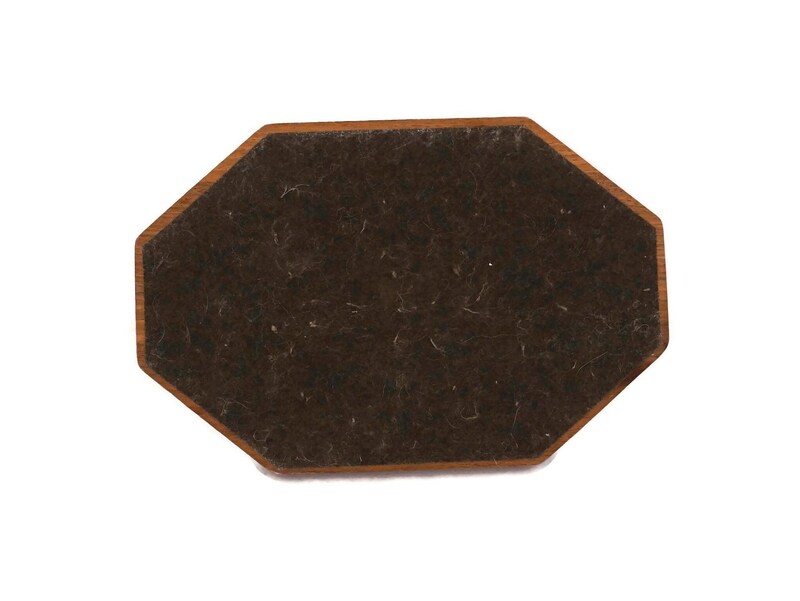 The underside has been lined with felt. 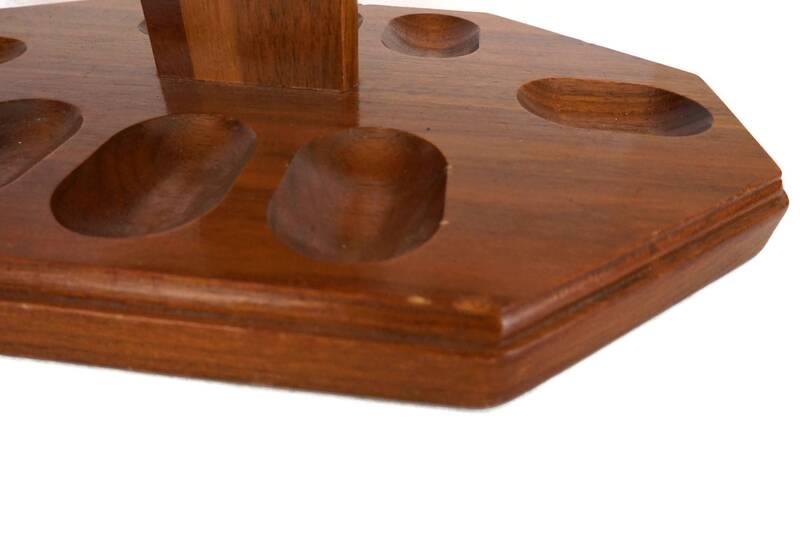 There is no manufacturer's mark. 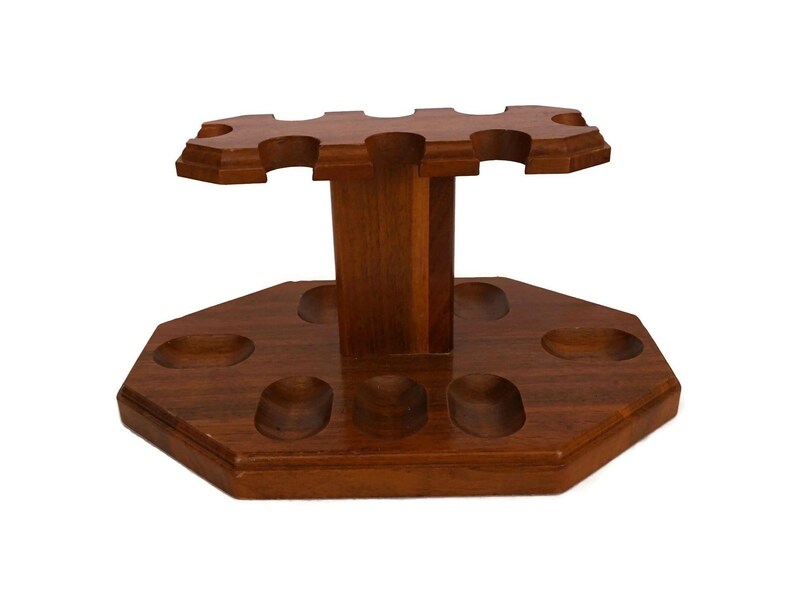 (24 cm x 13 cm x 16 cm). 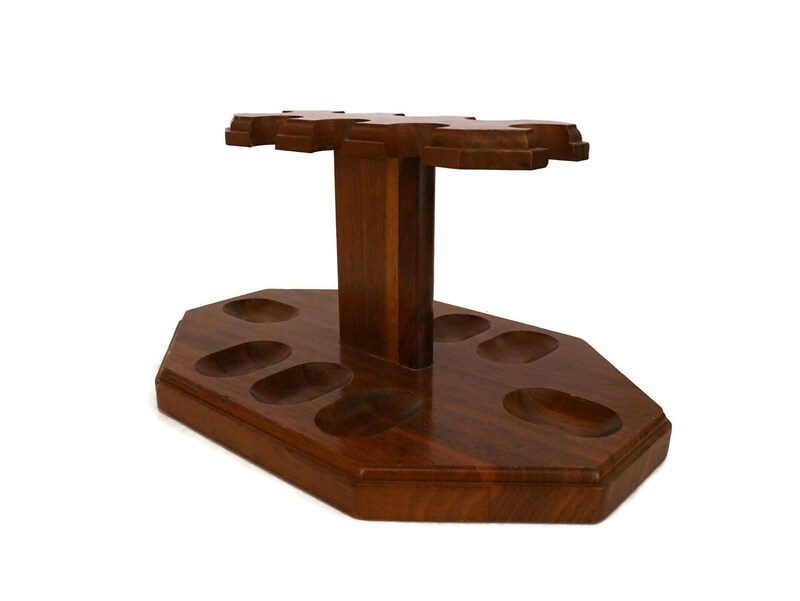 The pipe holder stand is in very good vintage condition with light signs of age including light surface wear and tiny knocks to the wooden surface.